“But seek first the kingdom of God and His righteousness, and all these things shall be added to you. Therefore do not worry about tomorrow, for tomorrow will worry about its own things. Sufficient for the day is its own trouble. (Matthew 6:33-34). God is the Lord of history. It has been said that history is His-Story. In Daniel chapter eight (verses 1-8), God gave Daniel a vision of things that would take place in the future. This vision came to pass two centuries later. It is an amazing thought that God can reveal in detail things that will not occur for centuries. No wonder Jesus told us not to be anxious. The gentiles, He said, are worried about the daily affairs of life. But, our Father not only knows our needs, He knows the events of the day long before the day arrives. Because He is our God, we can leave the worry to Him. He said, “Seek the kingdom of God and His righteousness” and all our needs will be provided for. In Christ we are free to let God be God – which releases us from all worry, anxiety, and fear. If God can direct the affairs of nations centuries before they occur, He is capable of meeting my meager needs. My eyes can only see to the horizon. But, my faith anchors me in the One who sees through the centuries and directs all of time. “…For the dark places of the land are full of violence” (Psalm 74:20). The psalmist retells how the enemy of God’s people destroyed the sanctuary “Where God met with us.” There was great violence in the land. The invaders had no regard for the sacred things of God. But, what is not told is why the enemy came in first place. God’s people had deep darkness in their hearts long before the enemy destroyed the sanctuary. And in the place where they met God, they themselves had no regard for the things of God. Through their idolatry and sin, they brought spiritual darkness into Gods house. In response, God sent the enemy, so they could see just how dark their darkness was. The violence they experienced at the hand of their enemy was proportional to the violence they brought into God’s house through their idolatry. And when the darkness came to light, they felt the violence of it and longed for the light of God’s presence. Going to the house of God does not mean we are walking in the light of Gods countenance, nor that we are truly seeking Him. God sees what is in our heart and responds to what is truly there. And, for our own sake He will expose what is in our heart. God wants to meet with His people. And, He wants to bless His people. But He cannot respond to what is not there. If what is in our heart is different than what is on our lips, then God’s response will be to jar us into seeing our real spiritual condition – even if He must hand us over to what we truly long for (see Romans 1:18-32). The people didn’t know that the idolatry they practiced, and loved, was the same sin that drove their enemy to so great a violence against them. Their sin was one and the same. The outward violence of their enemy was proportional to the inward darkness in their own heart. So, the Psalmist gives the warning: “For the dark places of the land are full of violence.” When we allow the darkness in, violence is all that is left for us. So, Jesus said, “If then the light in you is darkness, how great is the darkness!” (Matthew 6:23). However, Jesus came so that we may be delivered from the darkness. And He will deliver us, even when we call from its depths. “Preacher, your long winded! I’ve got lunch plans and your preaching is interfering!” So said the anxious church member who thought a twenty minute sermon once a week was all the church needs, because, “No one remembers what you say anyhow!” I hope his chicken and dumplings were memorable. Church life has some interesting twists and turns. But, such encounters raise the question, “What is the real purpose of preaching?” Every preacher knows that the closer they get to the 12 o’clock hour, the more fidgety the people become. Pass that sacred time threshold and worship becomes something else altogether. Over time it’s easy to forget why something was started. And what had a specific purpose becomes obscured as time passes. Church worship services sometimes fit into that category. Many people attend church every week, and if you were to ask them what the purpose is, they would most likely say, “To worship.” On the surface, that sounds good. But, then ask, “What is worship, and why do we do it?” At that point, the answers become thin and vague. The reality is that many people who attend church don’t really understand the purpose. It was during the greeting time in worship when he asked me the question, “What’s your plan to reach our community?” He was an evangelist who was visiting the church. He and his wife had attended church for several months. I had been to his house to visit them. We had some good conversations. My answer to him was brief: “In a word,” I said, “discipleship.” He turned away as I went to shake someone’s hand behind him. I never saw him in church again. That night as I was leaving for vacation with my family, I received a message on Facebook where he “rebuked” me. That was his word. I was disappointed, but not surprised. Discipleship is a word that has come to mean different things to different people. But if there is one thing I have learned in ministry, it is that discipleship has lost its significance as being the foundational ministry of the church. There are many good things a church can do by way of ministry, but if the church is not focusing on discipleship as the focal point of everything it does, then it may very well not be fulfilling the very purpose for which Christ created and commissioned his church. In this article I will argue that discipleship is the path to fruitfulness for the church. True, lasting transformational growth (both numerically and spiritually) will be most evident when discipleship is the leading vision that defines what the church does. Hence, church growth will be most fruitful when discipleship is the primary ministry of the church. One of the current needs of the church today is to recover the biblical concept of discipleship. Over the past generation the understanding of discipleship as being foundational to the mission and life of the church has been watered down. During the same period of time one can find many resources devoted to the topic. However, instead of being the foundational principle upon which the church should operate, discipleship has been relegated to just one ministry amongst many within the church. During this time, the church has unofficially adopted the strategy of running programs as being the necessary approach to building a healthy church. Hence churches have children’s programs, youth programs, evangelism programs, discipleship programs, and music and worship programs – amongst many others. This partitioning of programs has led people to see discipleship as just another program within the larger church with the effect that people see it as an option or preference. One person joins the choir, another goes to the discipleship class, but both are “active” in ministry. And while that may be so, as a result of partitioning the church into programs, the church is not fulfilling the great commission. “All authority has been given to Me in heaven and on earth. Go therefore and make disciples of all the nations, baptizing them in the name of the Father and of the Son and of the Holy Spirit, teaching them to observe all things that I have commanded you; and lo, I am with you always, even to the end of the age. Amen” (Matthew 28:18-20, NKJV). 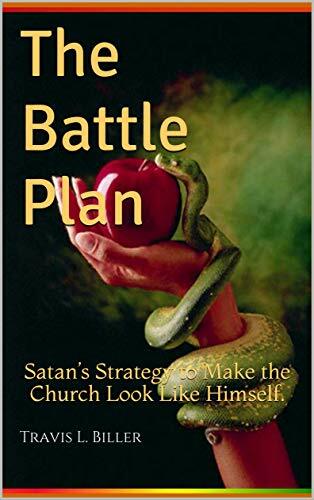 This is chapter one of my book, “Man of the World, Battling Satan’s Infiltration of the Church.” Click on the link to the right to see more. There seems to be a default mode that people lean towards in church life. While the invitation of the gospel is to enter into a unique and special relationship with God through Christ, many people seem content with a life of religion. The problem is that there is nothing in the gospel that even hints that that is God’s goal for a believer. Yet, there are many people who are active church members who are content with their religious routine and not even remotely concerned that the life of God is not a living reality for them. Yet, that is why Jesus came. He said, “And this is eternal life, that they may know You, the only true God, and Jesus Christ whom You have sent” (John 17:3, NKJV). And, “The thief comes only to steal and kill and destroy. I came that they may have life and have it abundantly” (John 10:10). The thief is Satan. He is the author of lifeless religion. But, Jesus came that we may know God and experience His life as a living reality on a daily basis. And notice, He said He came to bring an abundant life. This is not a normal, run of the mill common life that is content with sitting in pews and attending committee meetings. This is a supernatural, extraordinary, uncommon life that walks with the living God! This is the kind of life that is filled with a joy that is inexpressible and full of glory (1 Peter 1:8). This is a life that experiences a peace that transcends understanding (Philippians 4:7). This is a life that knows every spiritual blessing in the heavenly places in Christ (Ephesians 1:3). In short, this is a life that knows God. Let that sink in. Knows. God. I have come to the pinnacle of success in business. In the eyes of others, my life has been the symbol of success. Self. It’s the number one killer in the world today. It destroys marriages. It rips communities apart. It leaves children orphans. It threatens social stability at every level. It damages lives. It leaves people bereft of friends and loved ones. It is the source of wars and fights. And it is the real reason we must tragically open graves on a daily basis. When Adam and Eve first sinned, they didn’t just break a simple rule. They effectively opened the door of Pandora’s Box unleashing hell. Man was created in God’s image. It’s something we don’t reflect upon often enough. There are many things that means, but one consequence of this wonderful truth is that being made in God’s image means we were given great creative skills and abilities – abilities that far surpass that of the animal kingdom. Man’s ability to cultivate, build, think, imagine and create is vast. But man was created to do these things in a way that reflects the creator back into the creation. But because of Satan’s lie man’s abilities were high-jacked. We were created to serve God. After God created Adam, he told him to tend and keep the garden God had created. The words in the original language are the language of worship. Adam and Eve were to bend all their ingenuity in the service of their God. But, when they accepted the lie of Satan, all those abilities were now placed in the service of self. Focusing those abilities on self has become the source of much evil in the world. I was thinking lately about the power of language. As I thought about how God used the spoken word to create the universe I was struck by the reality that there is great power in our use of language. It is something we often take for granted. God said, “Let there be….” and the world and all that is in it came bursting forth into existence. We cannot create a universe, but we can create divergent realities with our language. Think about the power words have over children when they are still learning. What is said to that child can determine the course of his or her entire life. Think about how criticism can break a person emotionally and psychologically. Conversely, think of how a word timely spoken can redirect the course of a person’s entire life in positive ways. Words are more than just ideas verbalized. They are a form of power that we wield every time we open our mouth. As such we are to use our speech in ways that honor God and direct people to the path of life. “While he was still speaking to the people, behold, his mother and his brothers stood outside, asking to speak to him. But he replied to the man who told him, “Who is my mother, and who are my brothers?” And stretching out his hand toward his disciples, he said, “Here are my mother and my brothers! For whoever does the will of my Father in heaven is my brother and sister and mother” (Matthew 12:46-50). The other day someone made the statement to me, “We are brothers.” What he meant was, we are fellow believers, and as a result there is a relationship between us grounded in Christ. I agreed and we gave the appropriate man hug with the hit on the back, and then we went our separate ways. This morning while doing my quite time I read the above verse. Jesus raises an interesting point concerning our relationships in Christ. He seems to limit them. So I just finished a debate – if you can call it that – with a man who forcefully argues for a hyper-Calvinism position on the atonement. We sat down to have coffee a couple of weeks ago and somehow got into a debate on Romans 9. Let me say upfront that there are many good Christians who are hyper-Calvinists; and there are many good Christians who are not. I belong to the latter category. The conclusion of the story, I assume, based on his comments on FB, is that he has broken fellowship with me. In our discussion on Romans nine, I presented a reading of the text that disagreed with his. On FB, without articulating what I actually said about Romans nine, he told anyone reading that I vehemently oppose God’s sovereignty in salvation, I dishonor God, and that I despise the sovereignty of God. When I called him a Calvinist he said I was disparaging him and that he does not accept such titles – he even said I was disparaging Calvin. I thought I was being accurate based on his argument. He thought I was being divisive. One of the things I took away from his comments where he accuses me of dishonoring God is that because I disagree with him, I am therefore dishonoring God. To dishonor God is a serious thing. It is to be living in sin and rebellion against God. To accuse someone of dishonoring God because of theological differences is a scary place to be. You might as well make the claim “To disagree with me is to disagree with God.” Where did we ever get the idea that disagreement over theological arguments is A. equivalent to attacking God; and B. grounds for accusing a brother in Christ for being in sin; and C. grounds for breaking fellowship? Friends this is not Christianity. This is insanity. Grace. How good it is.